This colorful handout offers suggestions to create fun parties for back-to-school events, Halloween, and Thanksgiving. Recipes for healthy snacks are included as well as links to helpful sites. 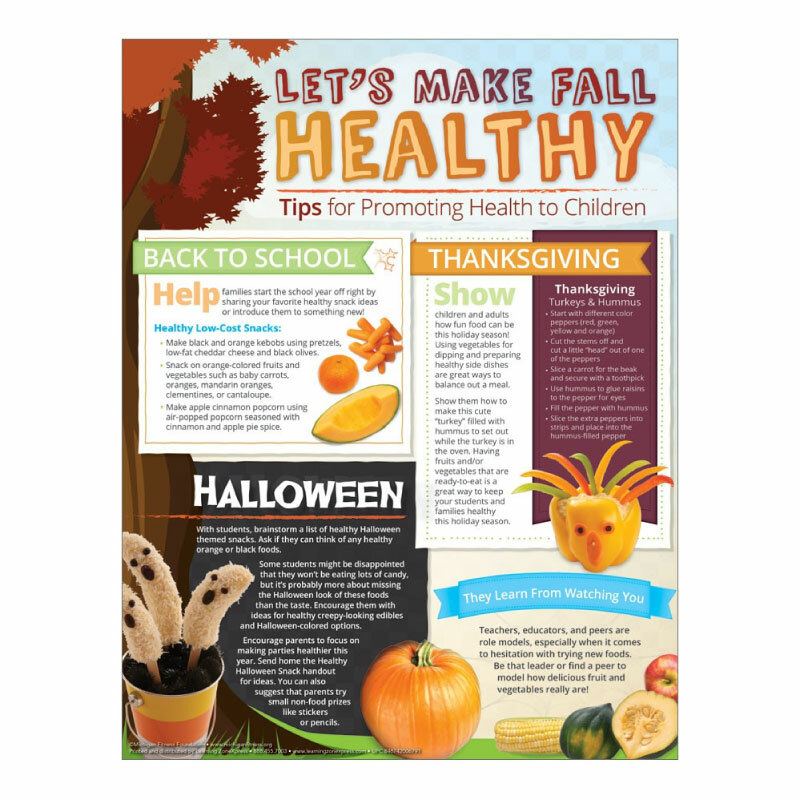 This resource supports district wellness policies that relate to healthy classroom parties. Available in tear pads of 50.